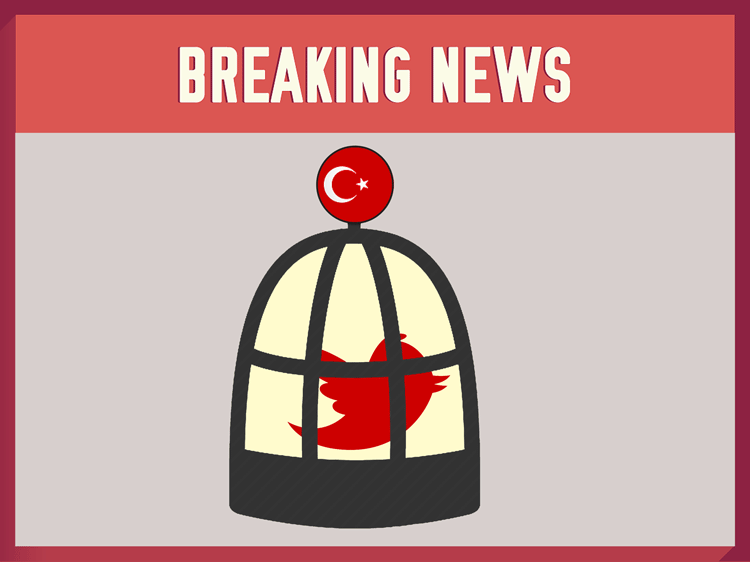 Once again Twitter users in Turkey have reported their access is blocked to the social network. As per Venture Beat article Facebook appears to be blocked also. It is believed social media sites are blocked to suppress spread of images of violence in the country, as breakdown of ceasefire between Turkish forces and Kurdish rebel population continues to escalate after a suicide bombing this past July and another terror attack on peaceful rally attendees in Ankara on October 10th. It is believed the Turkish government would want to ban the popular social media tool because it is being used to sway opinions of the global audience. Is is problematic as Turkey has over 10 million Twitter Users and nearly 40 million Facebook users connecting on a daily basis and they need access to communicate with family and access the latest news. Blocks to access social media sites have been issued in the past in both Turkey and other countries experiencing political unrest. 2014 March Youtube and Twitter both blocked after an audio clip was shared online, apparently incriminating Prime Minister Recep Tayyip Erdogan, who is now Turkey’s president, of corruption. 2015 April Turkey blocked Facebook, Twitter and Youtube to stop the sharing of graphic images of prosecutor held hostage and a gun being held to his head were posted online. Once the images were removed from the social media sites, access to them was reinstated. 2015 September A temporary (?) ban on twitter ensues during political unrest between Turkish forces & Kurdish protesters. Social media blackout could return as tensions grow in the country. This past Tuesday (Sept. 8th), Turkey send in troops to Syria to look for rebel Kurdish Troops after a number of violent altercations with police ended with a death toll of 33. 2015 October 10 A horrible terrorist attack has shocked Turkey with over 80 people reported dead and many more injured during a Peace rally in the country capital Ankara. Hours after the attach Turkish government has launched news censor from the country and blocks to both Facebook and Twitter were reported soon after. Blocking social media sites has become a symbol of political tensions in the country. 2016 March 5 An attack on free expression as one of the biggest newspapers was seized on presidential orders. The raids of Zaman newspaper offices in Istanbul and Ankara shook the nation that has undergone countless freedom of speech censorship initiatives in recent years. Change.org had started a petition to end Turkey’s crackdown on free press. 2016 March 14 Ankara court bans Facebook and Twitter in wake of photographs of an explosion appearing on social media channels. A VPN Network can encrypt your internet traffic and allow access to blocked content by rerouting your IP address. A VPN encrypts your data through a secure tunnel before accessing the internet – this protects any sensitive information about your location by hiding your IP address. NordVPN does not keep any logs and uses very powerful encryption to route your online data. This way you can protect yourself from data tracking or cyber attacks and maintain your anonymity on the internet whether you’re using a PC, laptop, smartphone, tablet, gaming consoles or any other device that requires an internet connection. If you need a short VPN access – please request a free 3 day trial with out tech support. Just email them at support@nordvpn.com. Access a Free Web Proxy though the NordVPN site << https://nordvpn.com/web-proxy/ >> A web proxy is a free service that will load web pages for you from a server at a different location, and pass on the results to your browser.